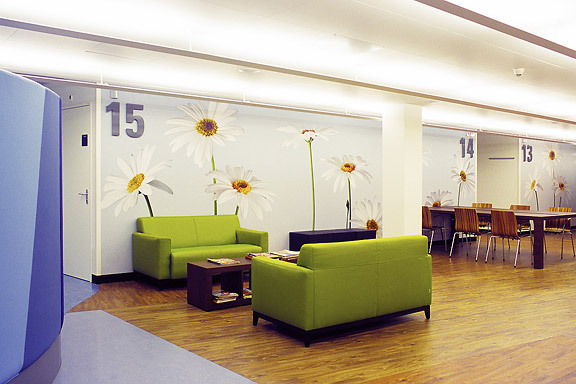 Olivier Architecten asked me to make a photo of a daisy field for the gynaecology section of the Breda Amphia Hospital. 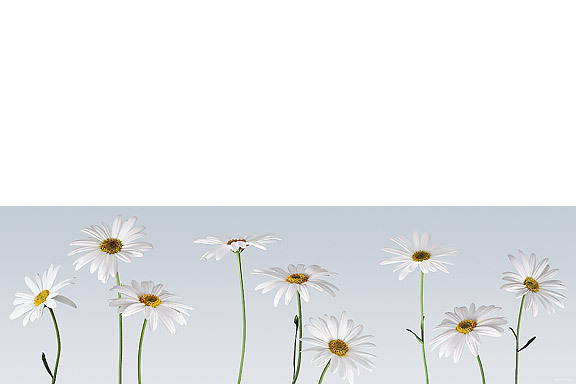 It was far from daisy season. 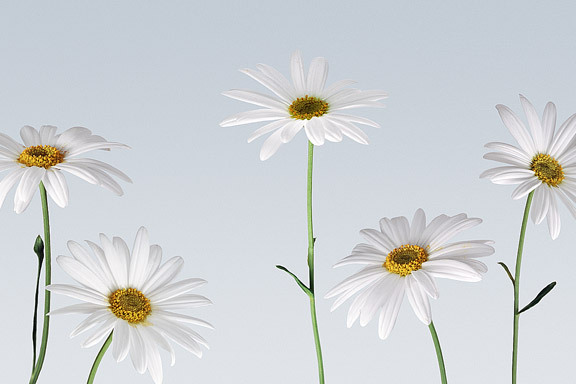 I chose to make an abstract daisy image instead, based on free standing marguerites. The print is 9000 x 2700 mm big.